The Bible is the best-selling book of all time, and in the modern day many have created new methods to spread the Gospel. These have varied from formatting the Good Book in different ways to using mobile technology like apps to give a new experience of the ancient text. One way many of these proposals have sought to get off the ground is through online crowd-funding, especially through the website Kickstarter. This has become a popular means, as a search on Kickstarter for the word "Bible" brings up more than 500 projects. While some of these are profane efforts, many of them are not. 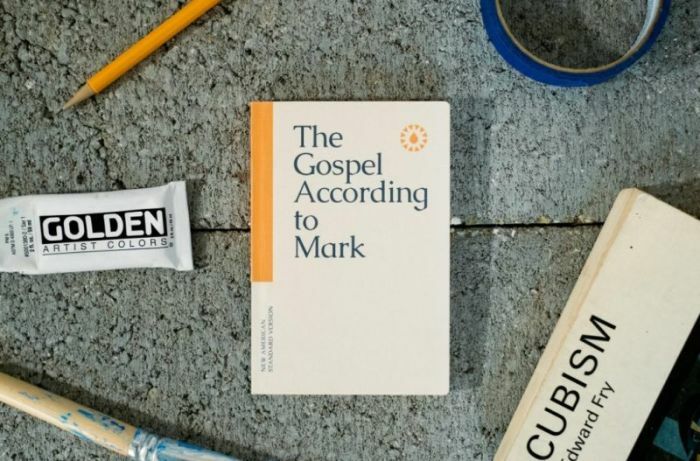 Here are the perspectives of three Kickstarter campaigns centered on the Bible that have been successful on the crowd-funding site. These creators share the challenges they faced, experience and advice. Having raised $1.4 million on Kickstarter back in 2014, Bibliotheca remains one of the most successful projects in the history of the crowd-funding site. Bibliotheca was marketed as a more elegant version of the Bible, removing the traditional chapter and verse headings for the Bible books to make it formatted more like a novel. 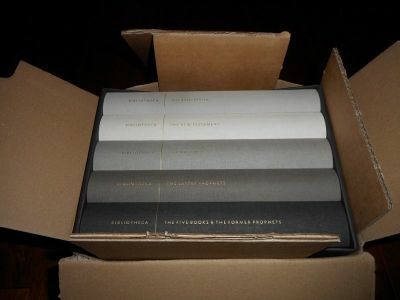 David Gallagher, spokesman for Kickstarter, told The Christian Post that Bibliotheca is one of fewer than 300 projects to raise more than a million dollars through Kickstarter. "So that's 0.2 percent of all projects that reached their goal," noted Gallagher, adding that "was also the most-funded project in the typography subcategory of our design category." Gallagher also noted that Bibliotheca was featured in the Kickstarter Gold campaign, which was held last summer and featured a new opportunity for people to donate to the website's favorite projects. Bibliotheca founder Adam Lewis Greene told CP during an interview in January that since Bibliotheca was released in November 2016, sales have remained "healthy" even without spending any resources on advertising. "News of Bibliotheca has spread organically, by word of mouth and on social media. It's not what I'd call a lucrative project, but it has generated enough to keep itself alive," explained Greene. Greene also noted that Bibliotheca's success has opened the door for new projects he hopes to pursue, the details of which are still pending. Despite the current success, Bibliotheca's journey from $1.4 million raised in funds to publication and distribution was tough, with Greene having to push back his projected deadline for releasing the book multiple times. One challenge that emerged once the books were finally ready for shipment was the verification of addresses for those who donated to the project. "We had been taking pre-orders for about two-and-a-half years by the time we were ready to fulfill, so naturally, many of the customer's shipping addresses had changed since they had placed their order," Greene recalled. "Before we could fulfill our roughly 25,000 orders, we had to create a process to verify everyone's current address. We quickly found that if we hadn't gone through that process, a few thousand orders would have been sent to the wrong place." Greene told CP that he believed his big mistake was only planning for "reaching my funding goal and not much more." "I never imagined it would become the most funded book project on Kickstarter. That's what was so difficult in the execution," said Greene. "Imagine you were trying to get enough funding to put on a middle school play but you were given enough to make a big-budget feature film. That's sort of what it felt like. I suddenly needed an infrastructure far beyond what I had planned for." Although Kickstarter spokesman Gallagher told CP that Bibliotheca has been the most successful Bible project by far, others are still exceeding their crowd-funding goals. 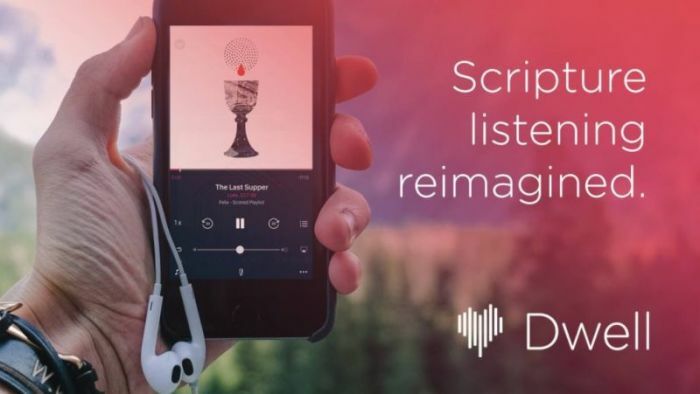 One example is the Dwell Scripture Listening App, a mobile phone app that allows users to listen to the Bible while going about their daily routines. As of Sunday, Dwell has gotten over $95,000 pledged from 1,600 backers, which is almost double their original funding goal. Joshua Bailey, co-founder of Dwell, told CP that he believes that a strength of using a crowd-finding site like Kickstarter is that it allows for instant feedback. "As an entrepreneur you think you might have a good idea for a new product, or service, but you don't really know until you get it out into the world and see what people think about it," said Bailey. "Kickstarter is an incredible platform for garnering real-world feedback from future customers. During our campaign we've had many comments from backers that have confirmed our prior assumptions and ideas, but we've also received feedback that has helped steer us in new directions." Bailey explained that he and his twin brother, who is also involved in Dwell, reached out to Greene of Bibliotheca last year to get advice on how to do their project. Bailey recalled that Greene "stressed the importance of thinking through deadlines and fulfillment" in his advice. "While we already knew that Kickstarter projects, generally speaking, are notorious for delays, it was helpful to hear about some of their struggles and successes in these areas; it definitely informed our campaign," noted Bailey. "Adam also stressed the need for transparent communication with backers during and after the campaign. Overall, getting a tiny glimpse into Bibliotheca's incredible Kickstarter success was a real blessing for ours." When planning out a Kickstarter campaign, Bailey suggested building up support for the project three to four months in advance of launching. "We did this by launching a 'pre-launch' page back in September of 2017. The page's goal was two-fold. One, to announce to the world what we were doing, and two, to begin building a relationship with future customers," Bailey explained. "As we began accumulating new email addresses, we really made a point to stay connected and transparent with them. We sent monthly updates about our progress, we offered listening previews for them to enjoy, and kept them informed as to when our Kickstarter would launch." Bailey found the building up of relationships in advance of the launch to be very important, as it was more beneficial to the project than other promotional venues. "We, of course, tried a lot of other marketing avenues as well, from Facebook ads, to buying massive email lists, to strategically timed blog posts," said Bailey. "Nothing came close to the success we experienced from that one list. That is because we truly made an investment of time and value into those people. We built a relationship with them, and now so many of them are backers, and our biggest fans." Last year, three Christian friends from Missouri launched a crowd-funding campaign on Kickstarter to fund the creation of pocket-sized Gospels in manuscript form. The campaign was a success, with the Kickstarter campaign getting more than $30,000, exceeding their $12,000 goal within the first five hours of the project's launch. Currently, the Springfield, Missouri-based Manuscripts Books is taking preorders for their pocket-sized Bible books, according to Giancarlo Ospina, one of the three. "You can do away with see-through pages and tiny fonts and instead hold something sturdy and easy to read. By removing verse numbers and notes in the margins we can create a distraction-free experience that allows the reader to focus on the Bible's amazing stories." Ospina noted that he got the idea for the project while taking a New Testament History class at Missouri State University in 2016. Work on the project began in January 2017, several months before the Kickstarter was launched. "We decided to launch on Kickstarter because it would provide a way for us to prove market demand and also get the product into people's hands for less than it would have cost to go directly into retail stores," said Ospina. Ospina told CP that while holding a positive opinion of Bibliotheca, Manuscripts wanted to take a different route for how they oversaw their project. "We ended up taking really different approaches to how our Kickstarter was run, though. We did a lot of research into best practices to design our Kickstarter campaign and took a more simple approach," noted Ospina. "We tried to keep our video as short as possible and offered a very simple selection of reward levels for backers."